Kiss fm is the ONLY radio in Portugal licensed to broadcast in Portuguese and English. 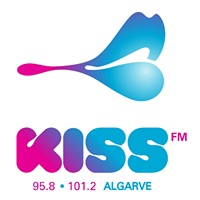 With over 20 years experience, Kiss Fm has proven its sucess in transmitting commercial messages aimed at both the Portuguese and English communities all over the Algarve and in the greater Lisbon since the November 2013. Kiss Fm supplies programmes that meet the needs of both audiences.